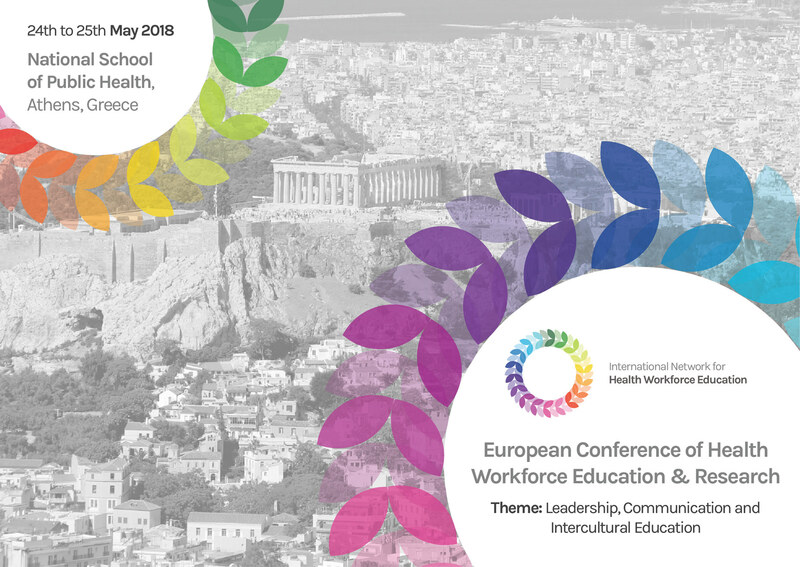 The European Conference of Health Workforce Education & Research took place at the National School of Public Health in Athens, Greece on Thursday 24th and 25th May 2018. Hosted in collaboration with the National School of Public Health, the International Network for Health Workforce Education held the conference to promote interdisciplinary co-operation and critical understanding of the latest research in the field of health workforce education, training and development within continental regions and beyond. The Conference brought together researchers, educators, trainers and policy makers from around the world. Leadership, Communication and Intercultural Education for health professionals, the theme of the European Conference on Health Workforce Education and Research, is at the very top of political and research agendas. Health professionals are dealing with constant changes to both the health systems they work in and the patients they serve. Equipping the health workforce with the skills to deal with this change is of the upmost importance for healthcare educators, researchers and policy makers. Leadership, Communication and Intercultural Education are three distinct but interrelated topics that are assisting health professionals adapt to their changing environment.